For her debut solo exhibition at Gillmeier Rech, Zuzanna Czebatul creates complex dramaturgies, emphasizing epistemological potential and cognitive tangibility. 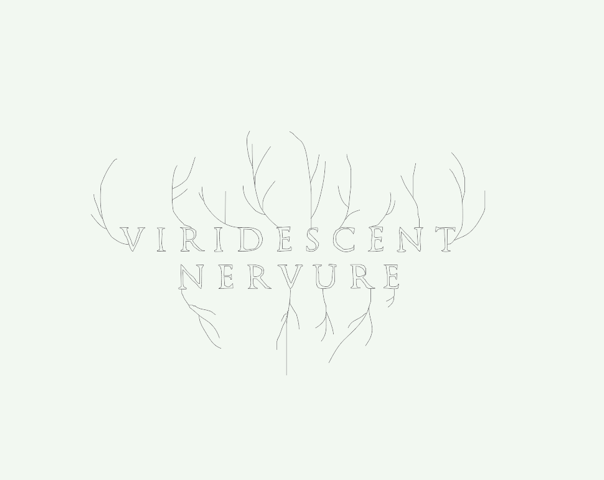 Viridescent Nervure (a term borrowed from botanical vocabulary, translated to ‘greenish leaf vein’) is framing a delicate conflict. Paths, caves, wild trees, bushes, an arrangement of flowers, the well smelling, poisonous, secretive, representational… subtle analogies between a garden’s state of mind and bodily expression. Nature, and its virtuoso sprawling self-realization are understood as a grid resembling psychological involvement and indefinite formal attitude. The gallery space is choreographed by a narration encircling two sculptural groups. The entrance room is dedicated to a series of sculptures, each depicting a different temper. Through the direct adaption of movement and physicality and as a response to the viewers’ angle, each step inside the gallery space allows an erratic perception and emphasizes the lively aspect of the sculptures. Spatial, presentational and existential matters drive the conflicting forms. Following a startling, yet coherent constellation at the entry, the second room leads to a space of continuity and ambiguity. What appears as a dual sketch on the wall is a lofty way of delineating a corporal touch, a gesture of aidance; a flimsy outline. Formed by iron grid material, which normally functions as a support for climbing plants, the piece elaborates on collocation of nature, mechanisms of control, the pleasure of covering empty walls with flowers, and the gentle touch between two people.